One Direction Photos, News, and Videos | Just Jared Jr. If you aren’t aware, Anna Todd‘s “After” novel was originally a One Direction fan fiction story, that was discovered on Wattpad. Back then, instead of Hardin Scott, it was Harry Styles. After it turned into a worldwide sensation, the re-worked fanfiction Now, Anna‘s book turned into a movie, and now is just a week away from hitting theaters. Speaking with IBT in a new interview, Anna opened up about a message she’d send to the band for first inspiring her to write the original story. Here’s hoping that one of them turns up at the premiere in LA next week! The ‘After’ Movie Poster Is So Steamy – See It Here! Steph Helps Tessa With Her Outfit Choice in New ‘After’ Movie Clip – Watch Now! Louis Tomlinson is opening up about life after One Direction, his new song “Two of Us,” his snacking habits, and more! Can you believe it’s been eight years since the beginning of One Direction?! 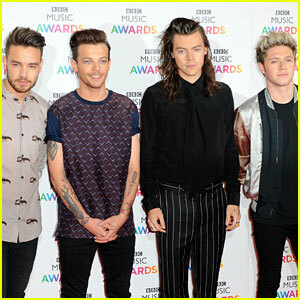 Liam Payne, Louis Tomlinson, Harry Styles, and Niall Horan all shared their sentiments on Twitter this week after the hashtag #8YearsOfOneDirection started trending. See what Harry and Niall had to say below! 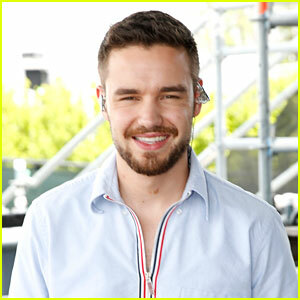 Liam Payne is still working on his debut solo album, but admits he likes to take trips down memory lane. 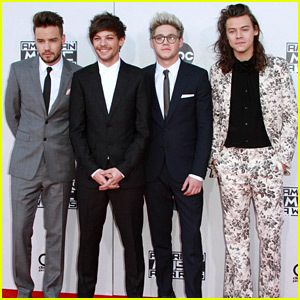 The 24-year-old singer opened up about how he loves to still perform One Direction songs. “I’ll never forget where I came from. That’s why I love singing the 1D songs when I’m out and about. It’s quite nostalgic for me,” he told People. One time in New York, One Direction kicked themselves out of Trump Hotel, and Niall Horan just revealed all the details. 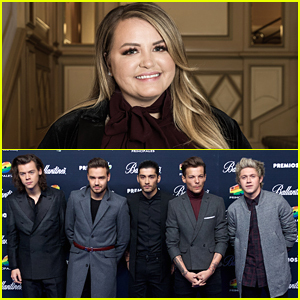 During his appearance on The Late Late Show With James Corden in London this week, the 24-year-old “Slow Hands” singer explained that the band was staying at the hotel for their Madison Square Garden show, and Donald Trump, before he was president, had asked them to take a picture with his lawyer’s daughter. “We basically said that we were doing no meet and greets and stuff because it was such a big show. It was the biggest show of our career,” Niall shared, and we totally get it. After they said no, the band was told that they were no longer allowed to use the back garage to enter the building, forcing them to face fans sitting and waiting out front. How sweet is this? Liam Payne serenaded a crowd of fans from his hotel balcony! 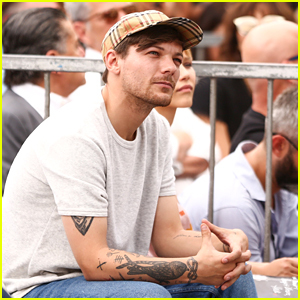 The former One Direction member performed outside of his hotel room at the Grand Hyatt earlier this week in Rio de Janeiro, Brazil. He sang a stripped-down version of One Direction‘s “Little Things.” Watch below!